Is Your Los Angeles Condo Association on the List Requiring Retrofitting of Wood-Frame Buildings to Better Withstand a Major Earthquake? The list is out, and an article in the LA Times reports that neighborhoods in the San Fernando Valley, Hollywood and the Westside will feel the biggest impact from Los Angeles’ new law requiring the retrofitting of wood-frame apartment buildings to better withstand a major earthquake, according to a Times data analysis. The article tells us that LA City inspectors spent about two years developing a list of 13,500 so-called soft-story buildings that will probably need seismic strengthening. And that list includes soft condominium associations, likely apartment buildings that were converted to condos. So, your condominium association may be on the list. According to the article, these apartment buildings (often referred to a “soft story” building), which feature flimsy first floors that often serve as parking spaces/car ports, became popular after World War II as Los Angeles was spreading north into the Valley and west toward the ocean. According to Wikipedia, “[a] soft story building is a multi-story building in which one or more floors have windows, wide doors, large unobstructed commercial spaces, or other openings in places where a shear wall would normally be required for stability as a matter of earthquake engineering design. A typical soft story building is an apartment building of three or more stories located over a ground level with large openings, such as a parking garage or series of retail businesses with large windows. 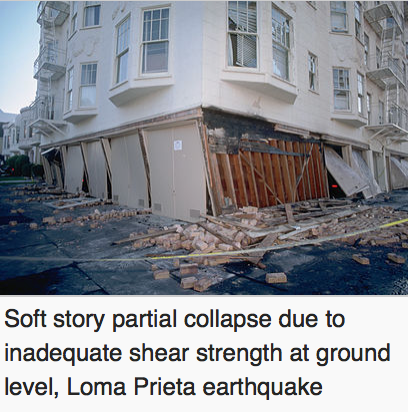 Follow this link to a depiction from the LA Times that portrays how these soft story type of buildings can collapse during an earthquake. It will be interesting to see how well Los Angeles is going to be able to enforce the new retrofit requirement. After the Northridge earthquake in 1994, Santa Monica took strong action to address its soft story buildings. So, while the list is out, it remains to be seen how well Los Angeles building officials will be able to enforce the retrofit requirement. Condominium associations may have no choice but to retrofit. The associations will have to disclose to the owners that their association is on the retrofit list. Owners will have to disclose this to buyers. The fact that a building is more vulnerable to damage including collapse will most certainly impact the ability of owners to sell their units. 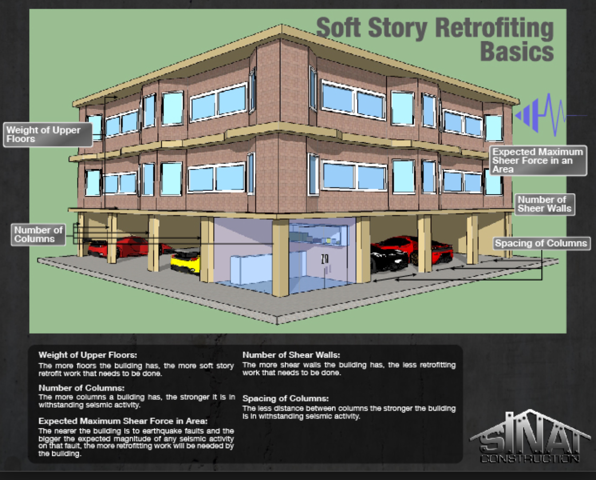 I expect that those soft story buildings will be retrofitted. Time will tell. So, is your condominium association on the soft story retrofit list? Again, follow this link to find out. David Swedelson is a condo lawyer and HOA attorney and senior partner at SwedelsonGottlieb, a firm that specializes and limits its practice to condominiums, homeowner associations and stock cooperatives throughout California. The firm does not represent individual owners.